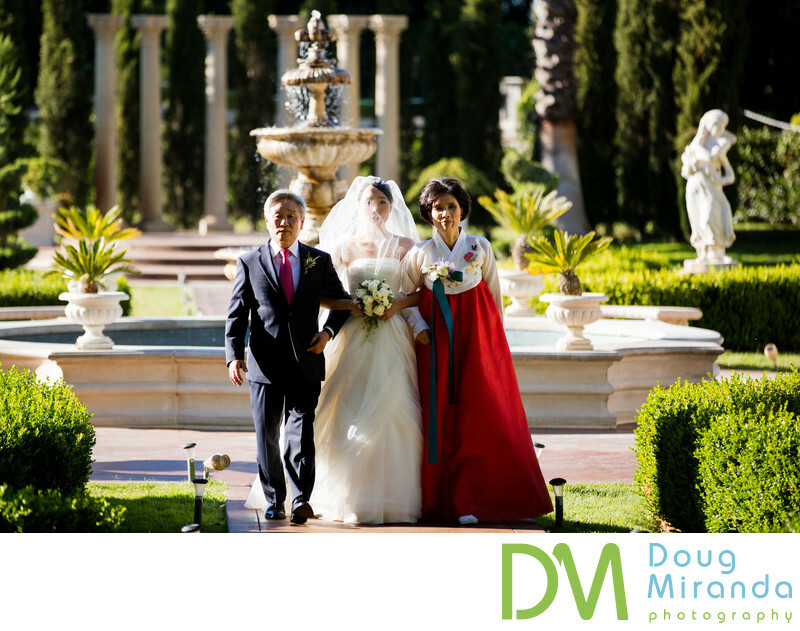 In this picture the bride is walking down the aisle at the start of her ceremony with her mom and dad at her sides. I love emotional photos like this. So much is going on in such a simple photo and when the bride sees this photo after her wedding day it will bring back all the emotions of the day. The Grand Island Mansion is the crown jewel of wedding venues in the California Delta located near the charming town of Walnut Grove. Honestly I think it’s one of the best wedding locations in all of the greater Sacramento area if you’re looking for a more of an elegant or formal wedding locationMost all wedding ceremonies take place on the front lawn. There are two locations, one on the far right side and one on the far left side of the mansion’s front lawn. If the weather doesn’t cooperate on your big day the wedding ceremony can be held indoor or in the back wedding reception tent. If you’re having a larger wedding your reception will take place in an eloquent reception tent behind the mansion. While smaller events have the option to have their dinner and dancing located inside the mansion. With the dinner taking place on the main floor and the dancing being held downstairs. This venue is that it can host ceremonies, receptions and events all year long unlike other locations in the great Sacramento area and Delta region. The mansion and it’s property is a photographers playground with such massive grounds and a house to photograph inside and out. There’s the front of the mansion with it’s pillars, steps, fountains and tall cypress trees. Across the road are breathtaking views of the California Delta water ways and the Steamboat Slough. Behind the mansion are more fountains, a pool, tennis courts and a private pear orchard that’s a great back drop for pictures. Inside the mansion photo opportunities bound vintage decorated rooms, hallways amazing lounge areas. This is always a plus during summer weddings to go inside and cool off. 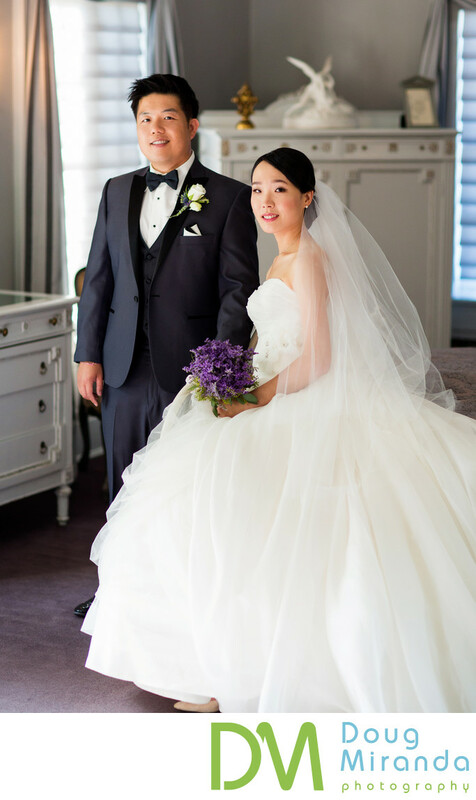 If you’re a bride and groom looking for one of the premier wedding destinations in the Sacramento then look no further than the Grand Island Mansion in Walnut Grove California. Here’s a list of unique services that they offer for events. Banquet Staff, bartender and bar. Tables, chairs, linens and a dance floor. Catering for brunch, lunch or dinner services. Location: Grand Island Mansion 13415 Grand Island Rd, Walnut Grove, CA 95690. Keywords: Grand Island Mansion Wedding (234).